This round platter is a great compliment to the larger oval platter I also purchased. 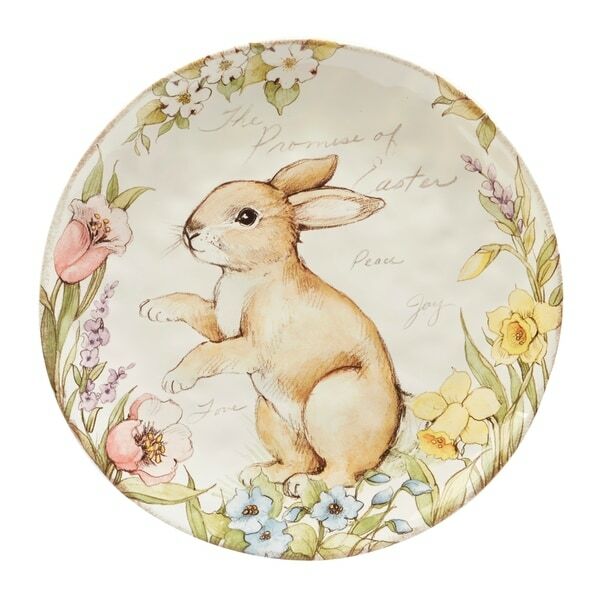 The artwork is beautifully detailed with both the colors and the adorable bunnies. Will use beyond Easter, lovely for Spring into Summer too. Dimensions 13.0 In. X 13.0 In. X 1.25 In.